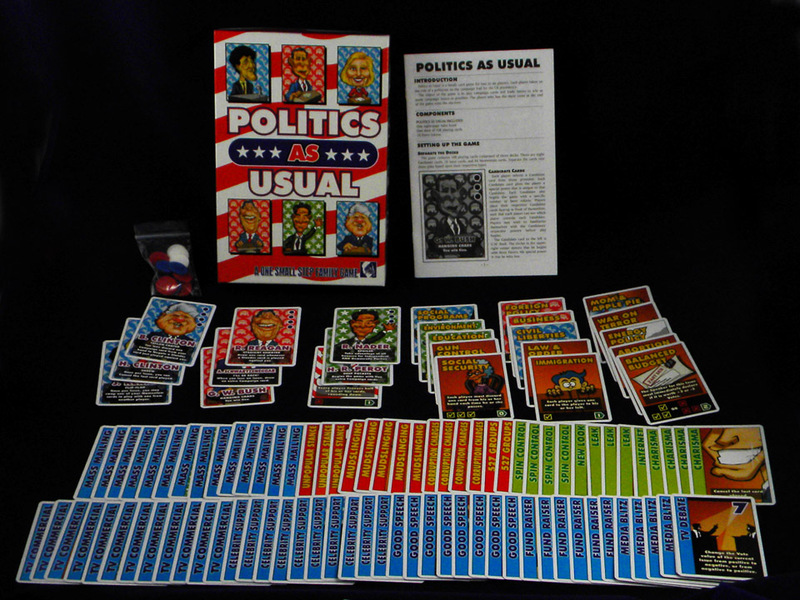 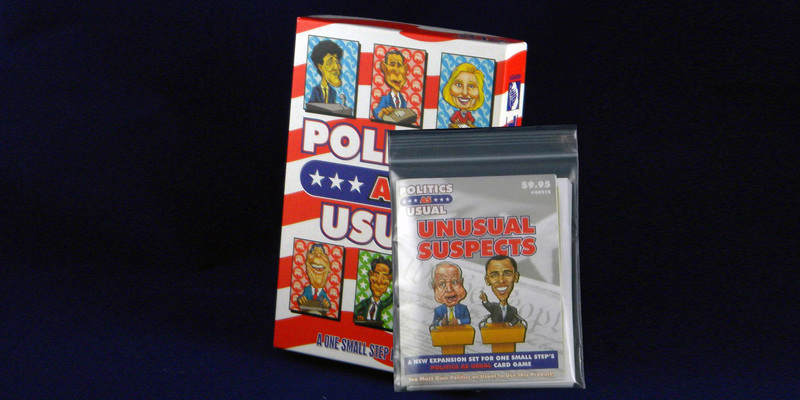 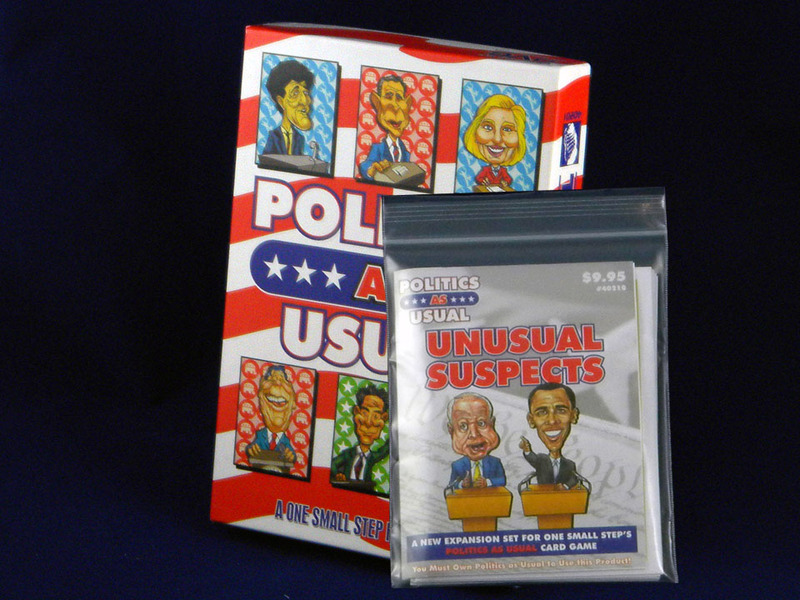 Politics as Usual is a wild, multiplayer card game that lets players run the campaigns of their favorite candidates in a bid for the White House. 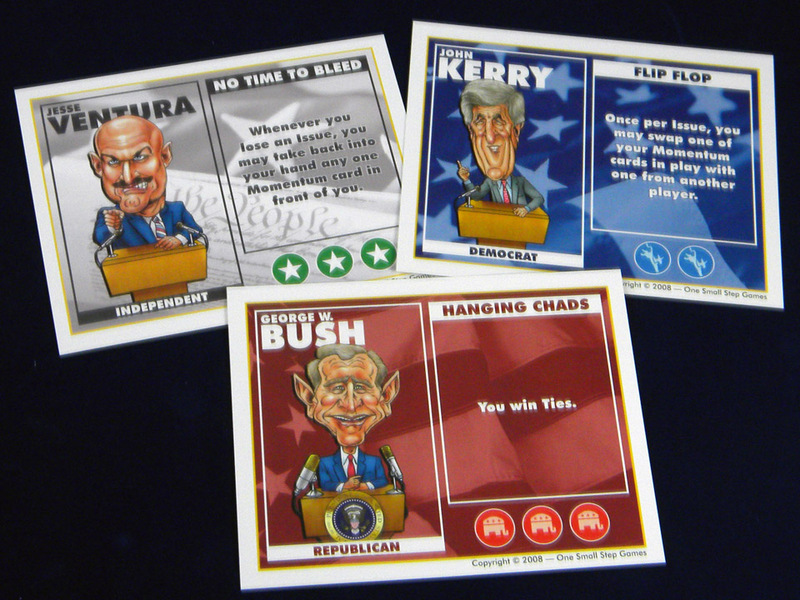 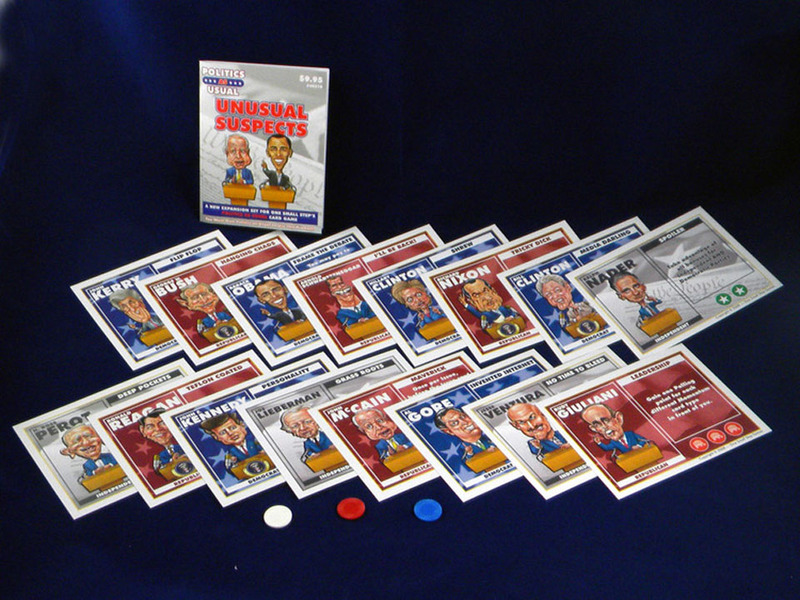 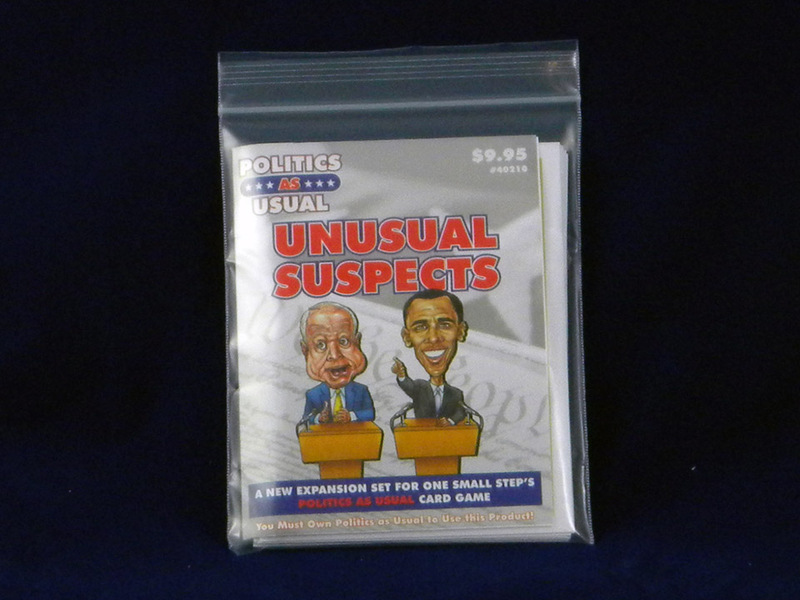 Two to six players each choose their favorite candidate, and use slander, edge, and campaign cards to outmaneuver one another to win the important Issues of the Campaign. 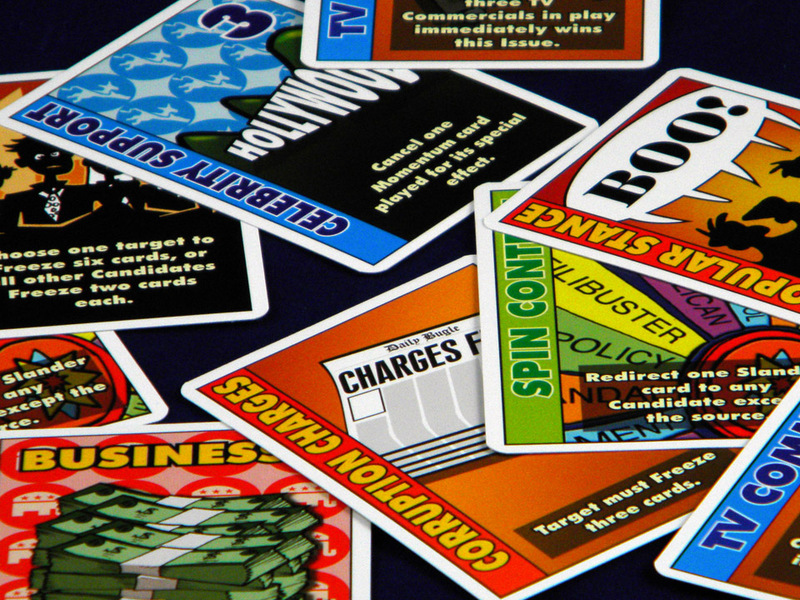 Each candidate has a unique special power and some political favors that are used to give him or her the advantage at critical points in the Campaign. 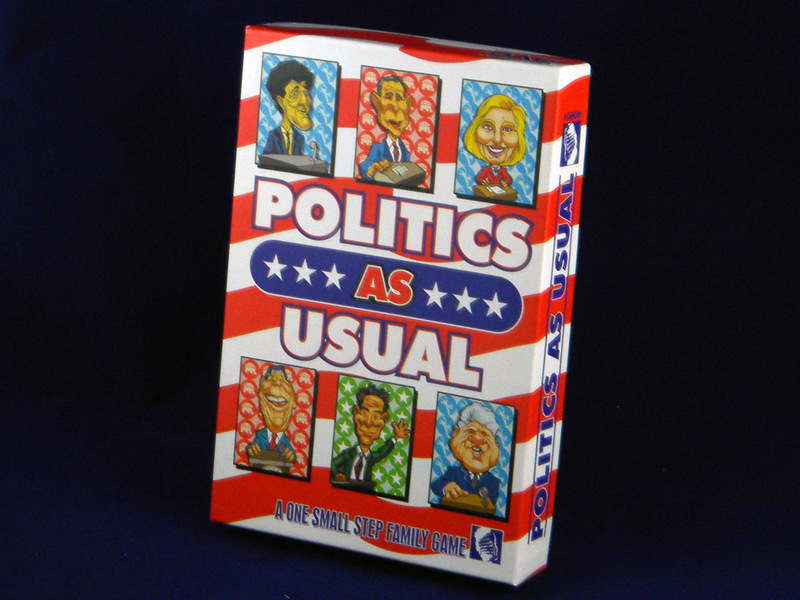 This family card game is suited for ages 12 and up, and comes from the creative mind of Dan Verssen, designer of zillions of games, including Down in Flames and Modern Naval Battles.